While spicy chocolate is our category of choice (we need to keep focused! it’s too easy to be distracted by lots of other delicious chocolates! ), I’m not embarrassed to admit the next category down would probably have to be chocolate with bacon as a key ingredient. That brings us to this particular chocolate bar, a mix of toffee and bacon bits wrapped in chocolate. Yummy! 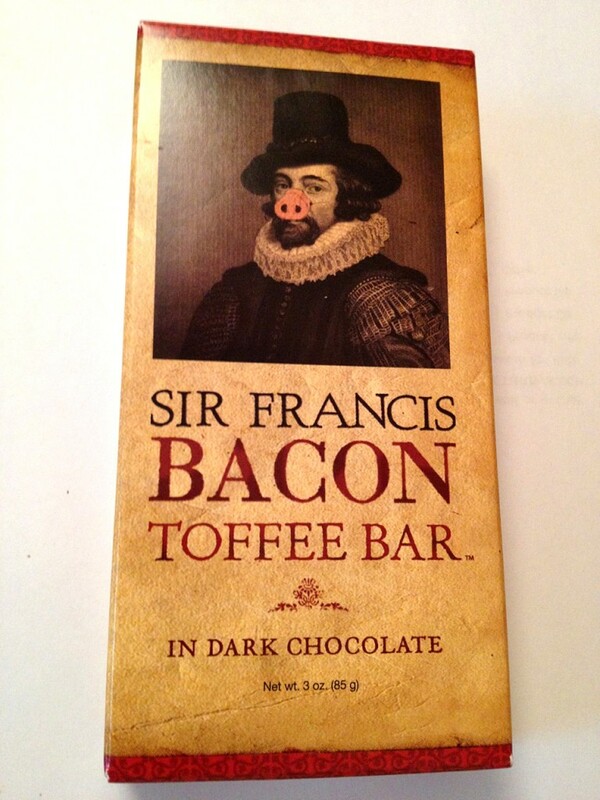 Despite the phenomenal name and artwork, we’d recommend this just for the interesting mix of bacon and hard toffee. The toffee takes a few seconds to soften and provide a nice vehicle for the bacon bits – but by then the chocolate coating is gone. Interesting.